**NOTE** Parents &/or Alternate Payers: To pay the Fee Bill for someone other than yourself, please use the myProxy Portal?. 2. On the left hand panel, expand Registration Services, and click Fee Bill from the dropdown menu. 3. 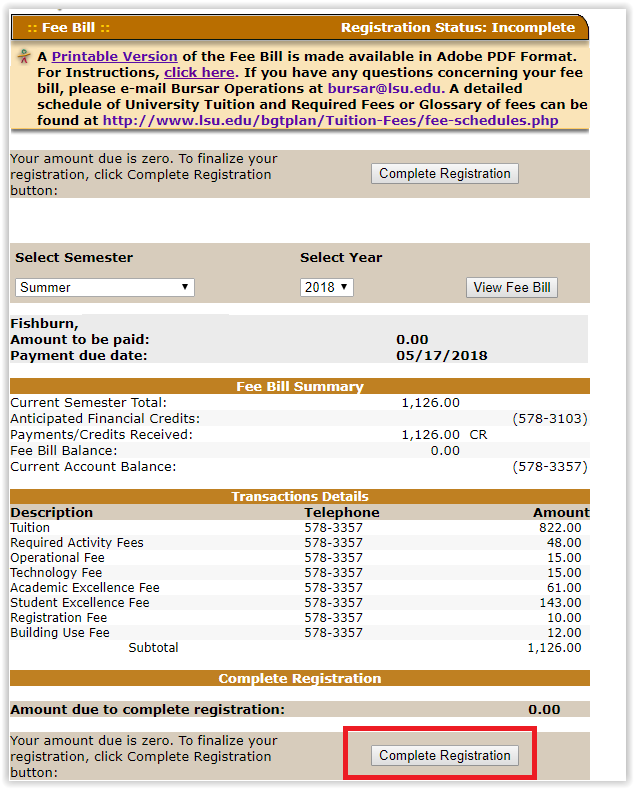 Select the Semester and the Year in the Fee Bill window. 4. 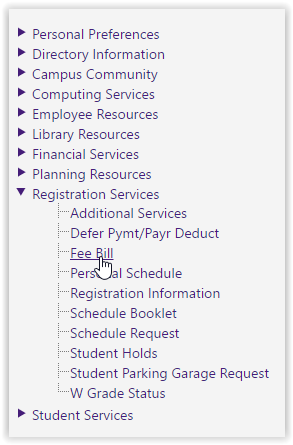 Click the View Fee Bill button to the right of the 'Select Semester' and 'Select Year' options. PLEASE NOTE: If you receive financial aid or veteran’s benefits and your fee bill says you owe $0, you still must click Complete Registration. 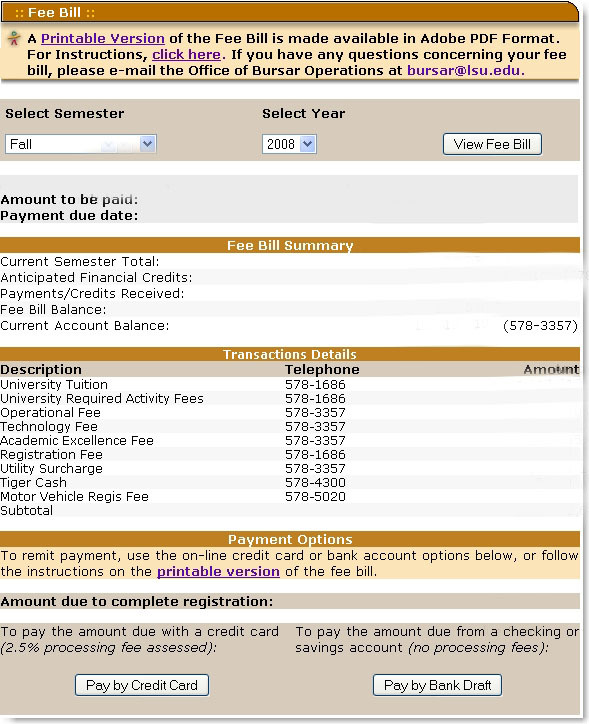 Once a student has processed their fee bill, the link will no longer be active for that term. 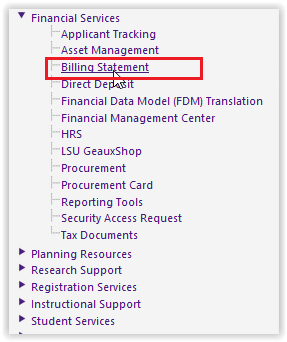 At that point, they can review their financial account by clicking Financial Services and selecting Billing Statement in the myLSU Portal..